Its been a long week so I needed a little fun eye candy this Friday morning to get me through to 5pm. PS- thank you to the lovely ladies over at Chic Coles for the Sunshine Award! I'm so honored and flattered that you chose to give me such a fun award. Go check out their blog today for some more pretty eye candy and a fun can giveaway! The second images is super sweet! Have a great weekend! 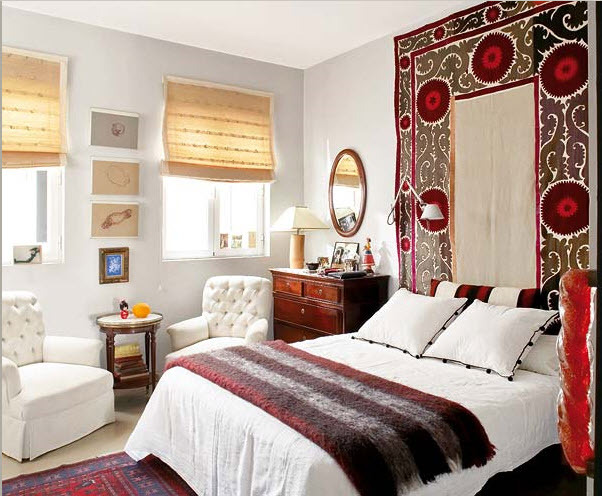 Love that second pic with the red bamboo chair and fabulous wallpaper! I have to agree... the second picture is fantastic! 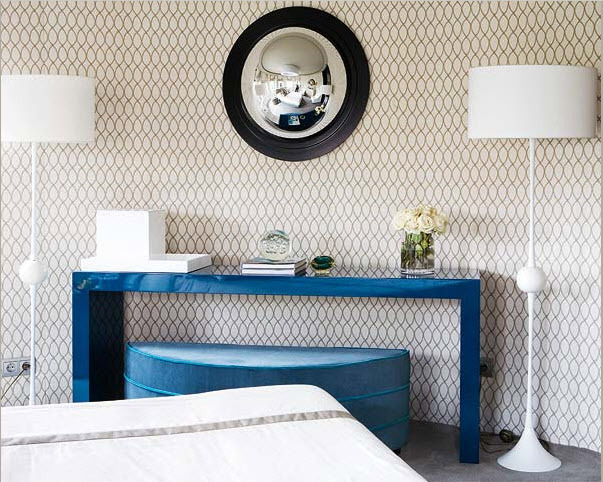 Love the suzani "headboard" and that blue console. Very cool. Have a great weekend! Lovely images! I'm saving all of them. Hope 5pm gets here really quickly! I love that desk... the wallpaper and red chair are just perfect! loving that big ole tufted headboard!! Love that first image. The mirrored wall is one of my favorites. Stephanie I'm with you, the last one is my favorite one too! Is it 5 o'clock yet? Sure in one of those pretty images it must be 5. Happy Friday. Love that red bamboo chair! Great images. Love it! Have a great weekend. Oh grey velvet tufted chair...Please be mine! LOVE the headboard in the last pic...and those beams! 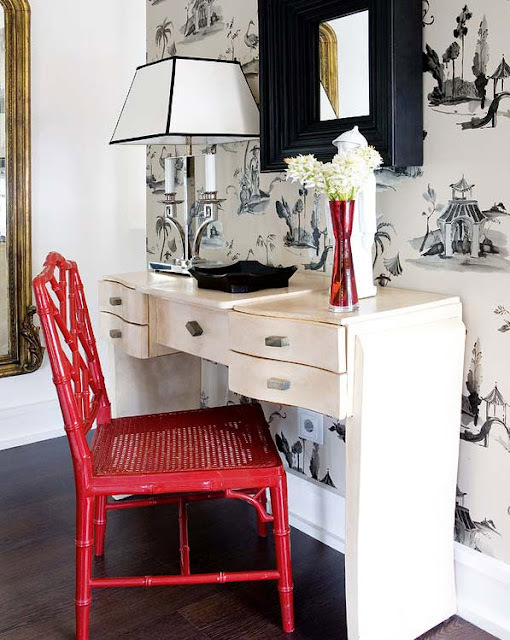 Love these images, especially the bright red bamboo chair-- its the perfect splash of color! eye candy indeed! i want to curl up on that blue sofa with a book! I just adore that last image. Love every single one! Great selection!! eye candy indeed! loving every last one of these.